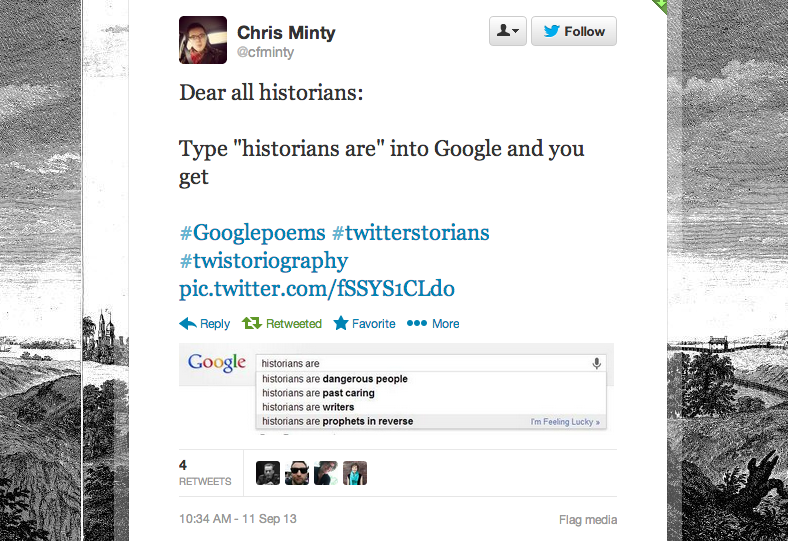 blog | Historians are Writers! Pretty cool, right? Especially because our site is the first search result for these words. I’m taking that to be a sign that this is going to be an excellent semester. Looking forward to tomorrow night’s discussion! This entry was posted in Uncategorized on 11 September 2013 by amyleekohout. This entry was posted in Uncategorized on 4 September 2013 by amyleekohout. This entry was posted in schedules on 20 January 2013 by amyleekohout.